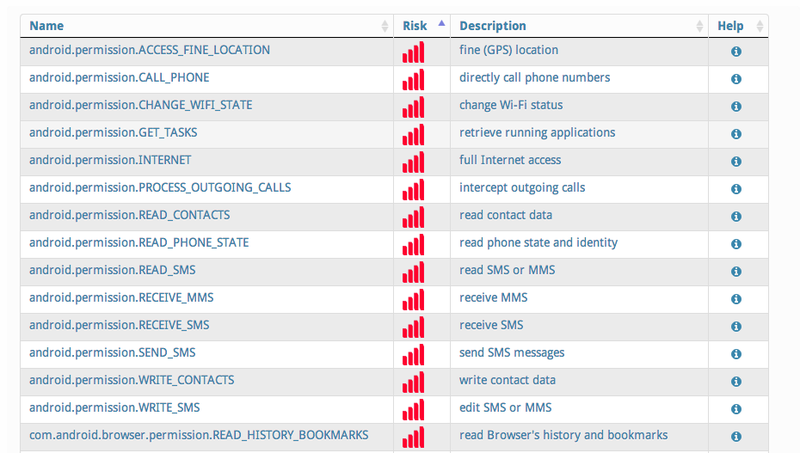 In the past several weeks, we have intercepted multiple samples regarding to a backdoor application – the phone beagle, which is known as a parent control tool on Android and Blackberry platform (http://www.phonebeagle.com/). The intercepted controller app samples are slightly different, mostly due to the versions and configurations. This article will focus on discussing the controller and guardian app’s functionalities and their implementations. The controller apk file is consisted of 2 packages: the BeanShell Lib (http://www.beanshell.org/) and the agilebinary packet(named after the company). 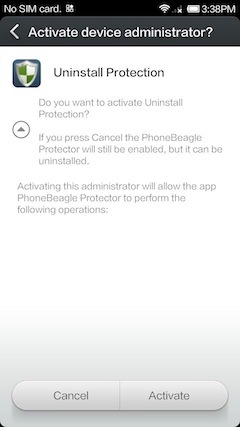 Despite the purpose of the use, the phone beagle has a strong control capability, makes it a potentially dangerous backdoor application. The app requests lots of permissions for remote control. Including phone call, SMS, contact, GPS, network connections and browsing history access. 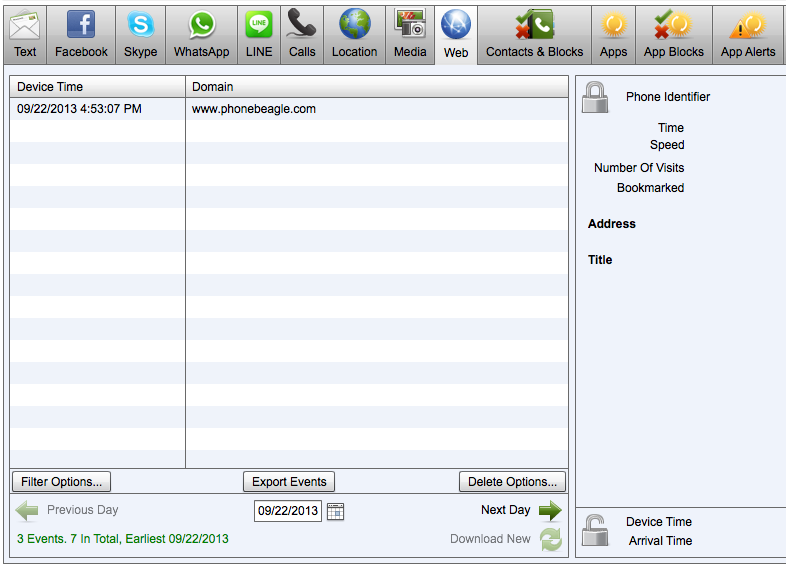 One selling point (btw, it costs $9.99/month) of phone beagle is its strong monitoring capability over 3rd party apps such as Facebook, Skype and Line. This feature is implemented by directly accessing the file system, retrieving the data file that containing the apps’ local storage. In order to do so, the app will apply for READ_EXTERNAL_STORAGE permission. 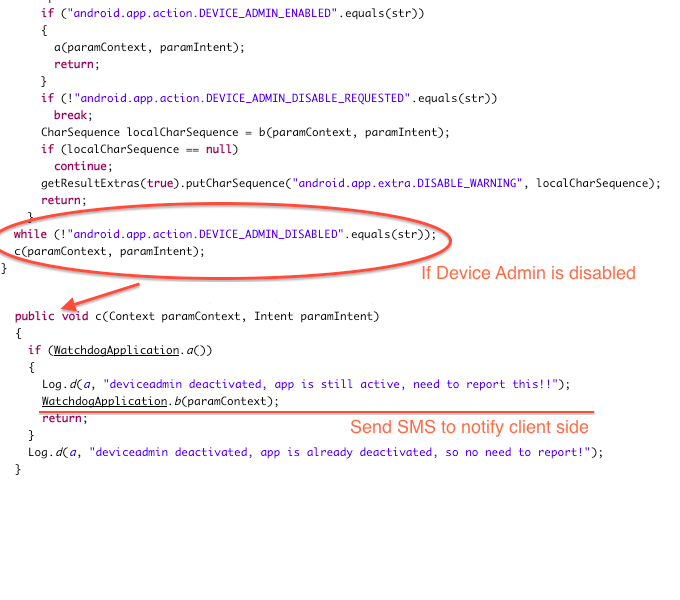 The relevant packet is called com.agilebinary.mobilemonitor.device.android.device.observers.[appname]. Similarly, the app applied for READ_HISTORY_BOOKMARKS for accessing user’s browsing history. The Phone Beagle uses a guardian process for self protection. 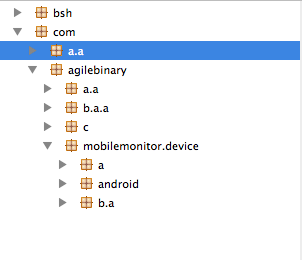 The independent package is called “com.agilebinary.mobilemonitor.watcher” (app name is “Camara Settings” for disguise). It directly actives the device administrator to implement uninstall protection, which is commonly seen on enterprise MDM system. 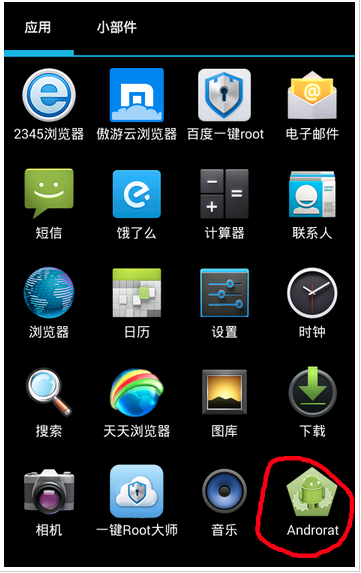 By using it, the app don’t even need the root privilege to access sensitive systems and data. The only thing you need to do is to authorize the device administrator when installing the backdoor. 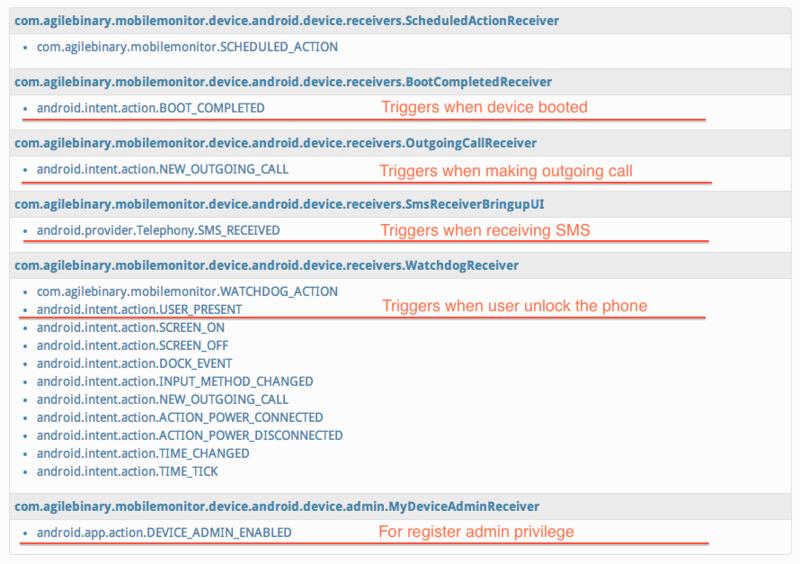 The guardian app registered a boardcast receiver “MyDeviceAdminReceiver” to monitor all the device admin state change. Two of the C&C servers we have found are 195.59.54.118 and 77.67.10.158. Be aware of it – unless you know what you are doing! Update: Trustlook has released a solution to detect this vulnerability within 12 hours of this vulnerability is reported. During the long night, we had to patch android system, changing scheduling code, re-fresh ROM system of all production devices and of course had many beers. This is fun. 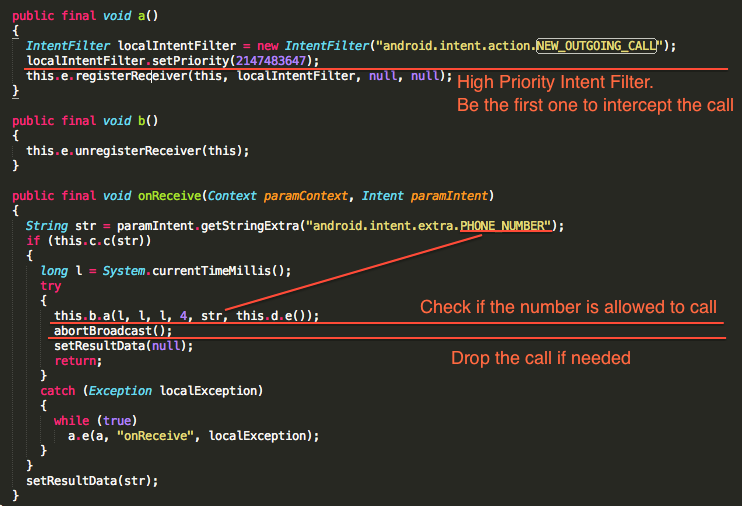 Here is the real exploit code that allows hacker to remotely control your device. It separates the exploit the APK file into four parts and merge them into one APK file, writing it to the sdcard on target device. Then run adb command to install the backdoor application. The following pictures showed you the backdoor application, androrat, has been installed in the vulnerable device. 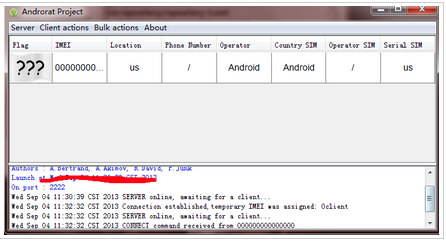 Last part is to do remote control the exploited device. Here is the risk summary alert for application impacted by this vulnerability.